Do you want an acupuncturist in Monterey, California whom you can really trust and feel comfortable with? I have practiced acupuncture full-time for 15+ years. My clinic is immaculate, professional, and designed for comfort and deep relaxation. I specialize in sensitivity – this means I understand that people need different styles of acupuncture, and I tune into what you need right away. Whether you’re in pain, stressed, pregnant, sensitive, or excited about your treatment, I am able to match what you need. Women, men and teens are welcome. What does it take to tune into what you need? The art of acupuncture is like playing an instrument – the more you practice, the more you refine your skills. You can trust that you will be comfortable and safe with my level of expertise. With interview, palpation and pulse taking, I get your diagnosis right – so we target the right acupoints to elicit transformation and healing. As a Feldenkrais™ practitioner for 20+ years, I’ve developed a high level of sensory awareness, which allows me to sense and feel your body’s needs, and to have a skilled use of the “needles” – as if they are extensions of my hands. I care about your concerns, and listen carefully, with focus. I commit my time to you, and you won’t feel rushed. I use a nonjudgemental, motivational interviewing style. Let that go! I use the Kiiko Matsumoto style of acupuncture, which is very gentle and extremely effective. I use fine Japanese "needles," the size of a hair. As a result of this delicate technique, most of my patients fall into a deep state of pleasurable relaxation. Acupuncture calms your nervous system. 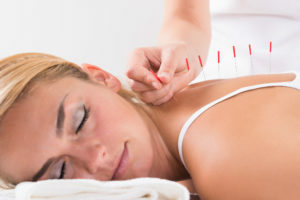 In fact, conventional doctors often refer patients to acupuncture for stress or anxiety. However, it does far more than that – it’s an entire system of medicine, capable of treating many conditions, including ones that fall through the cracks from a conventional medical lens. Acupuncture does NOT need to be painful to work! I work with women with anxiety, trauma and pain, children and teens, and many of my patients are new to acupuncture and have no idea what to expect. Are you a woman with hormone or reproductive health issues? Get pregnant when wanted, either with natural fertility or assisted techniques like IVF (invitro) and IUI (insemination). Regulate ovulation and menstrual cycles for PCOS, irregular or painful periods, or cycles that are too long or short. Alleviate anxiety, pain, and stress. Overcome sleep problems and energy slumps. Resolve PMS, depression, and postpartum blues. Quench autoimmune diseases of all types. Regulate all hormones, including blood sugar, insulin, and thyroid. Transition healthily and with empowerment through perimenopause, and lower hot flashes, mood swings, sleep disruption and unsettled emotions. Nurture and sustain your pregnancy, and address symptoms like nausea, indigestion, and aches and pains. Turn breach babies, prepare for labor, and encourage post-term babies to arrive. You are welcome and safe to bring your whole self to your treatment. Your thoughts, feelings, and physical symptoms are always connected. Every treatment is unique and private, and I meet you with mindfulness and compassion. This is what I personally love about acupuncture. You can come for physical symptoms as well as emotional and mood issues. What can acupuncture do for your emotions and your brain? The Kiiko style is excellent for treating modern hormone, emotional, and brain issues. It takes neuroplasticity into account, the ability of the brain and nervous system to change at any age. Are you injured or suffering from pain? Low back pain – the #1 reason why people seek acupuncture. It’s simple and easy! Just book a new patient appointment online right now, at my downtown Monterey clinic. See this Service and Fee Menu so you know exactly what to expect. If you want to use your insurance . .
We will bill any insurance plan, but only if you have coverage, so FIRST review our Insurance Billing Policies so you can verify your coverage. Then on the on-line booking menu, choose New Patient Insurance. Questions? Call us at 831-655-9611, or email us. Meghan Alameda, my office manager, will assist you. Want to meet me first? Book a 15 minute "meet and greet" consult.